The Paris protests have a lot more to do with Bitcoin than you think. Why? Because the root cause is not tax hikes, but unchecked money printing that erodes citizens’ savings and purchasing power. Paris is on fire, experiencing the worst riots since the 1960s. Video footage of yellow vest wearing crowds shows street brawls and police being pelted with rocks as shops, cars, and city infrastructure is set ablaze. The protests were reportedly sparked by a broad government tax hike on goods and services. France’s middle class is facing the brunt of rising prices on basic necessities such as fuel and transportation. The French government is known for its exorbitant taxes as President Emmanuel Macron’s government struggles to cover the cost of its social programs and other expenses. It has also introduced a tax on Bitcoin and currently considering a flat 30% tax on all cryptocurrency capital gains. Meanwhile, the purchasing power of the Euro (and every other fiat currency in the world) has decreased substantially over time as more fiat money is printed out of thin air and put into circulation devaluing the currency. 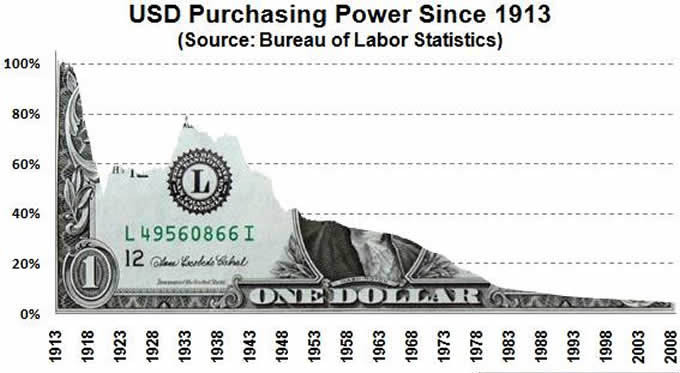 The US dollar, for example, has lost well over 95% of its purchasing power since 1913. In other words, the dollar has been losing 3.13% of its value on average per year since the Federal Reserve System was established. The value of the dollar against Bitcoin looks strikingly similar over the past decade albeit even more severe. Therefore, the austerity imposed by the government appears to be nearing a tipping point as French citizens are realizing that their quality of life will only get worse with their money designed to lose value over time. The same goes for the government who must always print more money in order to cover its bloating budget. Simply put, it’s not that the cost of living is going up, but that the value of the Euro and all fiat money is always going down. For all intents and purposes, fiat money is a de facto (hidden) tax on the population that erodes savings and purchasing power. BTCChina co-founder Bobby Lee echoed this fact, linking the Paris protests to ‘unchecked money printing’ by governments. Massive protests in #Paris about higher living costs. Hmm, I wonder what’s causing higher costs & lower living standards? Maybe it’s b/c of unchecked #MoneyPrinting by gov’ts? The amount of bitcoin that will ever exist is capped at 21 million. This not only makes it sound money but also a politically-neutral money. Its purchasing power i.e. BTC price 00 is solely determined by markets and is independent of government policies. Gold is one of the best examples of sound money whose intrinsic value was always determined by the free market rather than by governments or central banks. Hence it’s no surprise that the precious metal has historically been a store of value and a safe haven (from government exuberance). 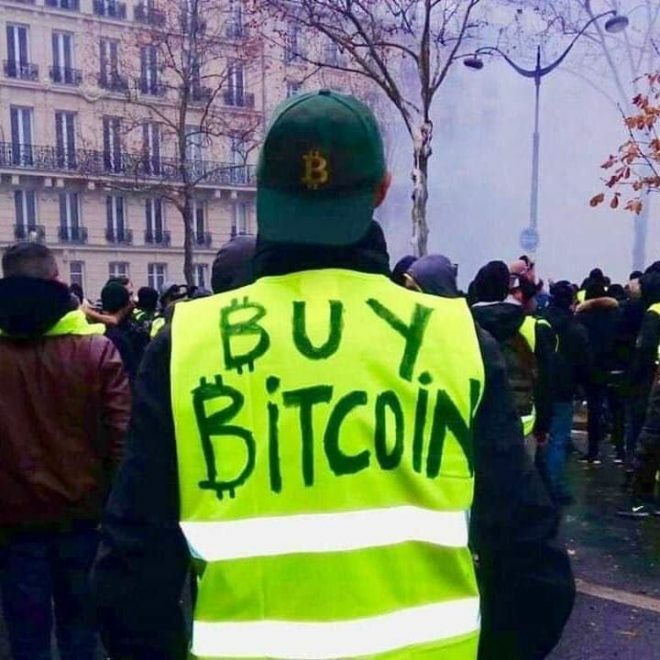 Meanwhile, a few photos have surfaced of protestors in Paris showing yellow vests with the words ‘Buy Bitcoin.’ This proves that some people are starting to realize that Bitcoin was created to be an exit from the flawed fiat monetary system. The more people realize that the current financial system is a rigged game benefiting the money-printers at the expense of the citizens, the more likely the hyperbitcoinization scenario becomes. France, in particular, could become a hotbed for Bitcoin adoption in the near future. Bitcoinist recently reported that thousands of French tobacco shops across the country known as ‘Tabacs’ are expected to sell bitcoin starting next month. Can Bitcoin provide an exit from the flawed fiat monetary system? Share your thoughts below! 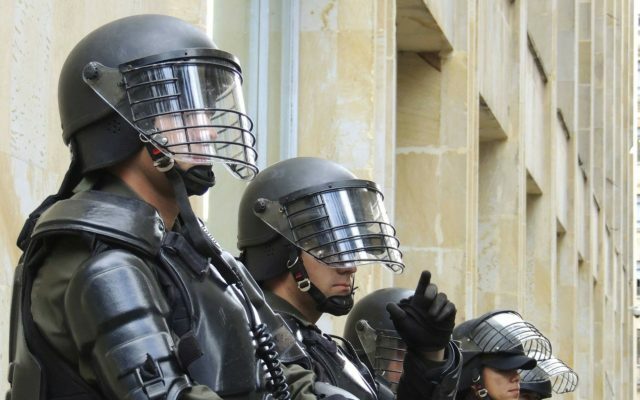 The post Paris Protests See Support for Bitcoin Against Unchecked Money Printing appeared first on Bitcoinist.com.